As part of the “CAGE” Mexico tour Katie Duck with Melissa Cisneros. 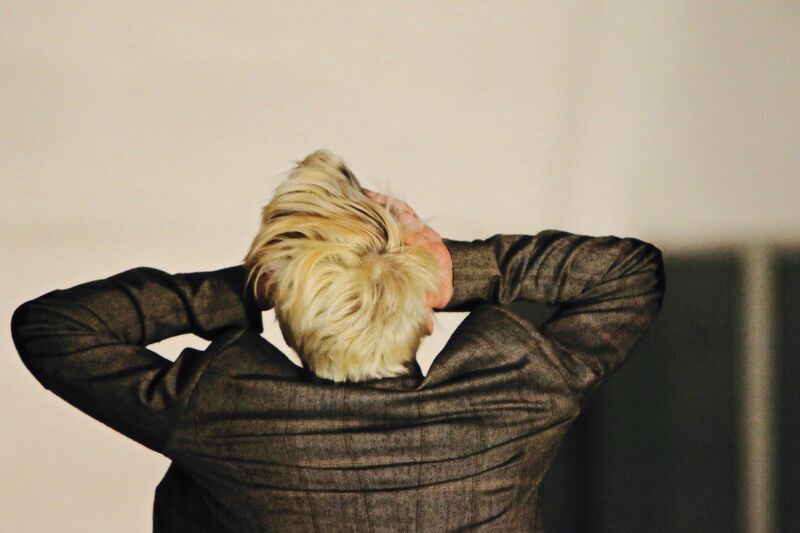 Improvisation in Katie Duck performances is not the antithesis of choreography or composition; it is how she makes her art work out of practice both in the studio setting and the newness of real time improvised performance. Her performances are about the experience of being there, you are participating in the event and thus, in a sense, the work”. 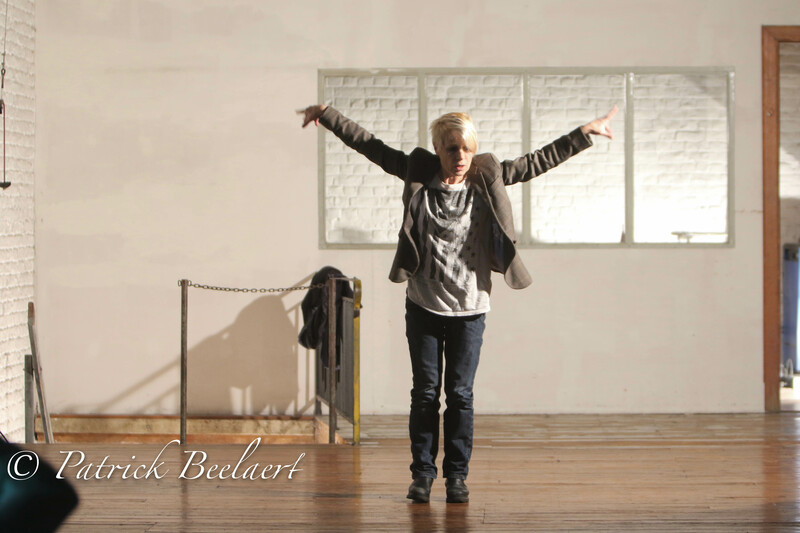 Katie Duck’s practice is a reflection of what she believes art in the theatre can only be; live. 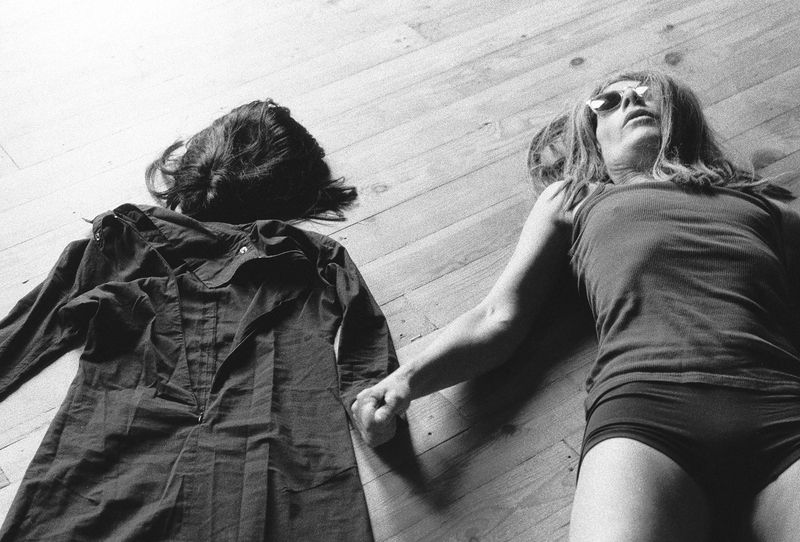 Her exhibition of the body in theatre, dance or music is a reflection of the unedited human condition with an aim to remind public’s that they indeed have a body. She has developed a manifesto in how she conducts research, rehearsal processes, and workshops towards performances. It excludes aspects of dance, theatre and music styles in order to include her research i contemporary brain studies. She creates performances offering the body, mind and presence in a sound driven space to public’s. 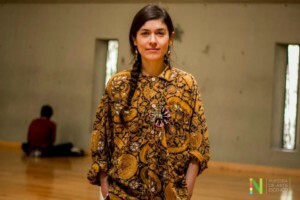 Katie Duck (Netherlands) will be doing a weekend workshop in the Centro Cultural de la Raza de la Raza as part of the Improvisation Project Network and Katie Duck with Melissa Cisneros (Tijuana, Mexico) will present “CAGE”, a solo by Katie that has an invitation for collaborations. “Cage has been presented all over the world over the past two . “CAGE” is a score that integrates a female performance artist, musician, actor or dancer as a collaborator in the countries where she visits. The workshop and presentation of “CAGE” at the Centro Cultural de la Raza de la Raza is the finale weekend of Katie and Melissa’s Mexico tour. Go to this link to find the full agenda Mexico Tour – workshops, master classes and “CAGE” presentations in Mexico, April 25 to May 7, 2017. Katie guides the participants through physical exercises that highlight how the eyes and ears affect movement choices. She places lecture alongside her exercises, based from her studies in the developmental brain “why we learn to walk” and perception “brain/mind/body”. She extends the workshop towards improvisation sessions by setting a fictional front in the studio space and then declaring this as a platform to choose pause, flow or exit. This platform highlights how the limit of these three choices can already provide the frame for a composition to take place, and that misunderstanding, coincidence, live time, interactivity, messiness, emotions, intuition and inspiration are basic materials in a creative process. These raw materials are integrated with the combined fact that everyone in the workshop group can make a choice. The improvisation sessions are given a delegated time frame with an option for the workshop group to shift, drop or lift the space at will. This shifting, dropping and lifting of the performance space places each individual in a position where they need to be to be fully awake or they will recognisably loose the thread of the creative compositional activity in play. Choice is introduced to the workshop group as a compositional reality but also as a means for individuals to elect to participate in the performative or as a viewer and yet remain involved in the process. The aim is to gather the workshop group to recognize that in a creative composition process, time is passing at different perceived speeds and that space is shifting in several dimensions at once. This awake fullness promotes individual performance presence and composition alertness. Katie will place an emphasis on the language that takes place in the process of collaboration and and the tension that one can capture by placing live body in a relationship with diverse mediums such as, object, film, sound, music and text. Alongside her workshop, Katie provides an agenda for for advising the participants through out their creation process. “Cage” We view distressing events daily and are able to tuck this in a pocket of our consciousness until eventually panic attach grips our spirits and anything social seems beyond reason. The human condition to feel what we see and hear is numbed, boxed away in the normal. Emotions are messy. “Cage” investigates how the mind is held back by our social inability to release emotions. The piece confronts how emotions are key to intellectual wisdom in how we can accept and respond day to day to the variable of expressions in human nature and, how language has frozen society in a delusional concept of equal rights and economic stability. Change can happen only if we are prepared to allow for emotion to be placed as paramount in intellectual discourse. The performance contains images from religion (nuns) and agoraphobia (illness) as a means to provide a theatrical theme. Katie was inspired to create “Cage” when she discovered a black dress that she could physically transform into images for her themes alongside a chair, three wigs, text, movement and sound. Her text is as non narrative as her movement material. Her words are placed in and around her use of space and objects that she discovers in each location. The solo is a score that is framed by a film and sound track created by Katie with invitations for collaborations. “Cage” is structured around a text and theme that are relavent to all cultures spoken by woman. She chooses a female artist to collaborate with her in the country where she is playing CAGE and re arranges the score in relationship to what that artist adds to the work. In Mexico, she will be collaborating with performance artist Melissa Cisneros. Melissa Cisneros (Tijuana, Mx., 1980) is an anarcho-conceptual artist capable of moving between different disciplines and crafts. She studied at the School for New Dance Development (2001-2003) and the Gerrit Rietveld Academy (2004-2006) in Amsterdam. In 1999 she obtain a 2-year scholarship to study at the Idyllwild Arts Academy in California, graduating with an honorific mention. Melissa’s art inserts itself in the events of everyday life, focusing overall in generating creative processes that at the end results in a final piece or situation with audience. Evidencing the multiple aspects involved in producing an artwork whilst coming into contact with different cultures, people and institutions, i.e. an artistic residency in the public space or a series of public workshops/interventions in different locations of Mexico City. By shifting contexts and roles that come into dialogue, she looks for different ways of living, understanding and re-signifying the body and art. In 2010 she established La Mecedora, a nomadic and playful initiative that cherishes new ideas within body related art emerging in creative processes. As a young platform, La Mecedora counters economical discourses in art that focus on efficiency, time-pressure and final end products. Instead, it illuminates the rich and insightful path leading towards the eventual performance, dance or art piece whilst reflecting on how perceptions are conditioned by socio-economical factors. Her work and research is constituted by a constant coming and going between artistic practice and theory; transit that is produce in the territory of the body.